It was done in record time. The Quad Cities Community Foundation challenged the community to give $1,000.55 or more to one of more than 100 Nonprofit Endowment Funds held at the Community Foundation. The challenge was part of the Community Foundation’s celebration of 55 years of generosity in the region. The Quad Cities Community Foundation aspires to be the most trusted resource for community generosity. And one of the ways we can be generous today so that our region thrives well into the future is through the endowment building work we do. We are celebrating our 55th Anniversary by helping nonprofit organizations in our primary service area build endowment. We know that endowment provides flexible, reliable funding to make nonprofits stronger, so our board has committed $75,000 from our Community Impact Fund to provide a 1:1 match to eligible nonprofit agency funds based on donor gifts to those funds. “Finny,” as she calls him, is wise beyond his years. Because while the mother of two and the new chairperson of the board of directors at the Quad Cities Community Foundation may indeed be good at connecting her foot to a fast-approaching bouncing ball, she is also great at connecting people in the community together for the greater good. Every year during the holiday season, Ascentra Credit Union employees are given $50 each—not as a gift, but a small seed of generosity to pass on to others. “We want them to find meaningful things in their community where they can make an impact,” said Dale Owen, CEO and President of Ascentra, which is headquartered in Bettendorf. Our very own Vice President of Grantmaking and Community Initiatives, Kelly Thompson, sat down with Mediacom Newsleaders host, Brian Boesen, and talked about what we’ve been up to here at the Quad Cities Community Foundation. Fulton Association for Community Enrichment (FACE) is ringing in the New Year by celebrating a matching grant made possible by the D.S. Flikkema Foundation. One-hundred percent of the dollars FACE raised by participating in this year’s Birdies for Charity event was matched by the foundation, allowing FACE to continue to make Fulton a more supportive, creative and prosperous community. Nine nonprofits will improve their technology, equipment, training and strategic planning using more than $100,000 in new grants from the Quad Cities Community Foundation. Quad-City youth and the families struggling with their mental health issues soon will have a new youth suicide and self-harm support program to turn to for help. If you wanted to reserve one of the meeting spaces in the Moline Public Library, you would find a clean, welcoming location but—they will admit—very little in the way of technology. The Quad Cities Community Foundation awarded $100,000.00 to the Robert Young Center to support a new youth suicide prevention program. The Robert Young Mental Health Center has received a $100,000 grant to create a youth suicide and self-harm support program. The Robert Young Center has been granted $100,000 to create a Youth Suicide and Self-Harm Support Program for youth, families, schools, and community groups. The program will raise awareness, offer therapy groups to children and adolescents, and support groups to parents. 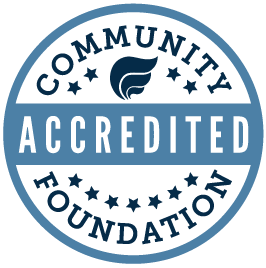 Gifts to the Community Impact Fund allow the Quad Cities Community Foundation to support nonprofits across the Quad Cities region through grant programs like our Nonprofit Capacity Building Grant. More than $110,000 in grants have been awarded this year by the Grant W. Brissman and Virginia M. Brissman Foundation. The Quad Cities Community Foundation provides administrative and grantmaking services to the Brissman Foundation. Trustees of the Looser-Flake Charitable Foundation have awarded $150,000 to 11 groups across Mercer County to improve parks and recreation facilities. Trustees of the Looser-Flake Charitable Foundation have awarded $150,000 to 11 groups across Mercer County, Illinois, to improve parks and recreation facilities for the people of Mercer County, and all who enjoy these outdoors spaces. Thirty-eight nonprofit organizations serving Rock Island and Scott Counties in the Quad Cities have been awarded more than $500,000 in funding from the Amy Helpenstell Foundation Fund at the Quad Cities Community Foundation. More than $150,000 in additional funds will be awarded through renewable grants in 2019. That belief is at the heart of the Healthy Families Home Visitation and Doula Program of the Child Abuse Council. Aimed at preventing neglect and child abuse, the program provides new parents who have at-risk factors with support and services to help build their parental skills.